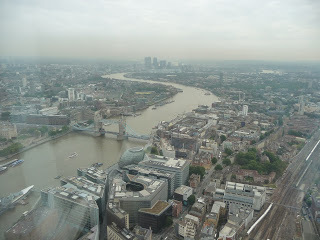 My two sons and I visited The Shard yesterday. 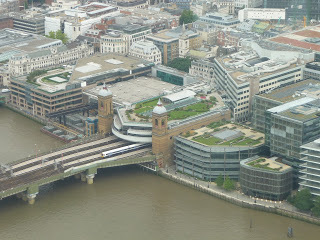 It is an iconic, landmark building on the London skyline, designed by architect Renzo Piano. At a height of 1,016ft (310m), it is the tallest building in Western Europe. 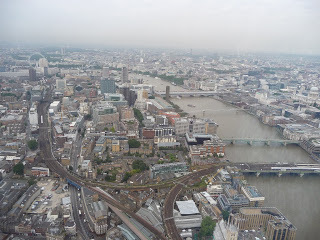 The View is situated at the top of The Shard, on floors 68, 69 and 72, and almost twice the height of any other viewing platform in London. 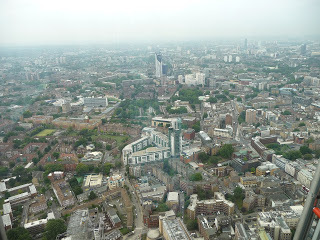 Unfortunately it wasn't a clear day so the views were a little murky.